Looking for Long Beach hotels near the beach? From quaint cottages to motels, resorts, hotels & condominiums, a wide variety of lodging choices await you on the Washington Coast’s Long Beach Peninsula. We suggest you make your reservations early during the peak season (roughly Spring Break through mid-October), particularly over festival and holiday celebrations. Perched flawlessly atop a quiet western ridge in Long Beach, the Anchorage has been welcoming visitors for nearly 65 years. Our 10 perfectly appointed Cottages maintain all the warmth and charm you’ll remember from years gone by while adding the comfort of modern amenities. Each of our immaculate 1 and 2 bedroom cottages have full kitchens and most have wood-burning fireplaces and are pet-friendly, creating the ideal location for families, couples, or the individual. Enjoy our splendid gardens and picnic areas or take the short walk through a young pine forest on our private path and drop easily onto miles of unspoiled beaches. Call today to redefine your beach getaway—we’re sure the Anchorage will bring you back again and again. A warm welcome from owners Fred and Ming Speer! Each of our budget-friendly charming and cozy cottages is separate and is located within walking distance to the world’s longest beach, award-winning dining and grocery store. It is only a short drive to downtown Long Beach and all local attractions. Newly Renovated & Reopened, the #1 Coastal Inn and Suites boasts the Best Location in Beautiful, Historic Downtown Long Beach, WA. Offering a relaxing retreat for city dwellers and nature lovers alike, we invite you to grab your sandals for a short walk to the ocean, or find yourself mere steps to Quaint Shops, Local Attractions, Horseback Rides on the Beach, and many Local Restaurants. WiFi/cable/mini fridge/microwave comes standard in all rooms, or try a king suite with fully equipped kitchen. Signature waffles and hot coffee served every morning. Additionally, a massage therapist is on site to offer you a relaxing Swedish or Deep Tissue massage. 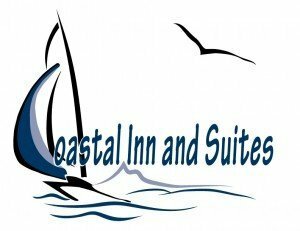 We invite you to come experience true heartfelt hospitality at the #1 Coastal Inn and Suites! Three secluded acres with private beach access across the coastal dune. Our quiet stream is frequently visited by wildlife, birds & otters. 12 separate cozy cottages are set in a semicircle nestled in a grove of trees. Each vintage cottage has its own kitchen with dishes and cookware, cable TV and free WIFI. We have studio cottages, one bedroom units, 2 bed cottages, a 2 bedroom cottage and a Beach Suite/Family Duplex to accommodate up to 6 people Each cottage has its own unique decor and theme. Dogs are welcome! For families, couples or the solitary soul, these immaculate cottages have been creating traditions for decades. With a view across the dunes to the Pacific and a short walk to the beach, each boasts a kitchen, bath, deck, wood or propane fireplace or stove. Stroll through the enchanting perennial garden, draw upon an endless supply of firewood, and experience the singular Klipsan Beach coziness. There’s a reason that people return to this extraordinary haven. With the privacy and charm of shingled cabins adorned with overflowing window boxes, immediate access to the ocean and bright, sparkling cottage interiors, Klipsan Beach Cottages creates the perfect weekend, mid-week or vacation sanctuary. Family friendly accommodations on 24 beachfront acres of beautiful lawn and dunes. The luxury of a premier resort with warm hospitality and a unique small town charm. Choose from a wide range of rooms from economy 1st level walkouts or a 2 bedroom suite with fully equipped kitchen, fireplace, ocean view balconies and vistas. Walk our famous beach; relax in our indoor pool and large outdoor spa. Top off any perfect day on your private balcony or beside your fireplace. Located just 1-1/4 miles north of downtown makes our setting ideal. There’s nothing quite like the Breakers anywhere. Free Wi-Fi. Our newly-renovated 1930’s cottages are located at the Bolstad Beach approach, a block from downtown. These warm, stylish, reasonably-priced, pet-friendly bungalows have gas fireplaces, fully-equipped kitchenettes, plush towels, and comfy pillow top king or queen beds. Visit our website to see which of our 8 unique bungalows meets your needs; from studios with jetted tubs, to one or two-bedroom units that can sleep up to 4 people. Awarded TripAdvisor Certificate of Excellence 2014, 2015 & 2016! The perfect romantic getaway and family destination, cottages located close to the beach, boardwalk, shops, and restaurants. Amenities include suites with large jetted tubs, 1 & 2 bedrooms with kitchens, fireplaces, covered decks, outdoor hot tub, wireless internet with the softest pillow-top mattresses, pillows and linens. Start your morning with fresh locally ground coffee and a walk on the boardwalk just minutes away. Bring bicycles to experience the paved 8.5 mile Discovery Trail along the ocean dunes to Beard’s Hollow, then through wooded terrain ending at the Port of Ilwaco. For the best ambiance to celebrate your vacation, anniversary, birthday or just the most memorable getaway experience at the beach, featured in the Coastal Living Magazine. Ocean View Inn at the Arch is conveniently located next to Long Beach’s arch, the main entrance to the beach. We have panoramic views of the ocean and 42 spacious units with refrigerators, microwaves, coffee pots, high speed internet, and a welcoming decor. We also have kitchenette units, as well as connecting rooms. In the morning you will enjoy our Deluxe Complimentary Breakfast, which includes: Cereals, Danishes, Fruits, Tea, Coffee, Hot Cocoa, Orange Juice, Oatmeal, and WAFFLES! The idea behind creating Adrift is simple. We know it’s important to get away for awhile, but we don’t think getting away should mean leaving yourself behind. With us, we want you to feel at home. Whatever your reason for escaping the daily grind - whether that’s relaxation, a solo retreat, or an adventure in the great outdoors - we’ve created a space which allows you to be yourself. To create an experience which is unique to you. Welcome to the finest lodging value on the Long Beach Peninsula–Long Beach Inn. Our property features a great continental breakfast, extra comfortable beds, 24-hour staffed front desk and a beautiful air-conditioned conference facility for your next profitable business retreat. Whether you’re vacationing or on a business trip, you will enjoy the beautiful rooms, elegant lobby, friendly service and downtown location at the Long Beach Inn. Please be our guest during your next visit. At the Inn at Discovery Coast, we've created a place of restoration for your mind, body and soul. We've made beautiful, simple rooms with luxurious amenities for you to retreat to, with plenty of extras to add. Our ocean views are unparalleled, and with our sister property next door, you can choose between numerous activities and extras. Come find yourself on the Discovery Coast.Our ocean views are unparalleled, and with our sister property next door, you can choose between numerous activities and extras. Come find yourself on the Discovery Coast. Our elegant beachfront resort features stylish suites with magnificent views. Private access to 28 miles of sandy beach. The tastefully appointed suites feature living areas, separate bedrooms, kitchens, fireplaces & balconies. Indulge in our outstanding amenities, the indoor saline swimming pool and hot tub, exercise room, world-class indoor tennis and pickleball center and coffee bar. Super pet and family friendly. Fabulous for retreats, off-sites and sports teams, experience our understated elegance and relaxing ambiance. SALT is the ideal spot to start or end your coastal adventure. Perched above the scenic Port of Ilwaco at the mouth of the mighty Columbia, SALT offers elemental hospitality out of the elements—and a family-friendly pub as well! Clean, modern rooms are streamlined and clutter-free. We are minutes from Discovery Trail, Long Beach, and Cape Disappointment. Don’t miss your appointment with nature. Chautauqua (shuh-TAW-kwuh), an Indian word meaning “a place where the fish was taken out,” offers an ideal oceanfront setting for family vacations, weekend getaways or fishermen resting before early morning call. All units face the ocean with beautiful sunsets from the balcony & waves lulling you to sleep. Hotel units sleep 2-4 & suites up to 8. Suites have 2 baths & kitchenettes. Relax in indoor pool, sauna or jetted spa after a day discovering the peninsula. Our conference center accommodates groups to 250. You won’t be required to spell, say or recall what ‘Chautauqua’ means; only remember having a great time staying with us at the beach. Enjoy the privacy of this unique, new cabin in Long Beach, just off the main beach approach at Bolstad Ave & the downtown area. The cabin has a huge private yard for you, your family or the dog. The 4th of July fireworks & annual Kite Festival are on the beach easily viewed from the cabin, or just a quick walk west to the beach. 2 bikes included with rental so you are set to head off for a ride on Discovery Trail. Treat yourself to our comfortable king bed & a lusciously deep jetted tub. The cabin is fully ADA compliant. The kitchenette is stocked for 4, with small convection oven, coffee maker, blender, water warmer and toaster. So enjoy complete privacy with a washer/dryer & you’ll not be bothered by the housekeeper. 45” TV, DVD/CD. 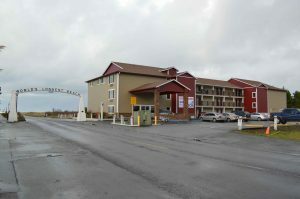 YEAR AFTER YEAR, VOTED ONE OF THE BEST MOTELS IN THE N.W. GUEST RATING-AAA , EXCELLENT/5 STAR RATING BY Trip Advisor. Friendly Owner-Operated since 2002. We give you & your family true value for the money you spend. We provide exceptionally clean, comfortable, well-appointed rooms with affordable pricing. Convenient location, close to shopping and restaurants. Short walk to the beach. ALL ROOMS ARE NON-SMOKING. Some take pets, please ask. Visit our website for more info.